Back in DC today. 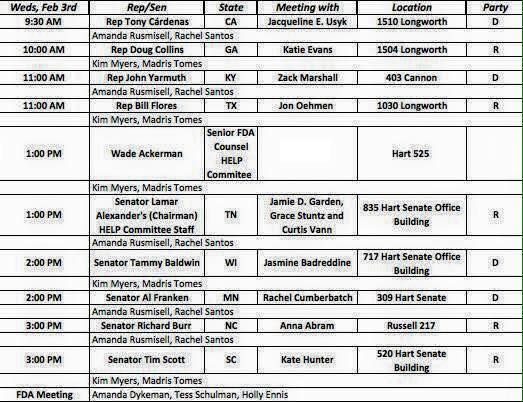 Multiple congressional meetings set up for today, Feb. 2nd, and tomorrow, Wednesday Feb. 3rd. Also a meeting with some members of the FDA on Wednesday. 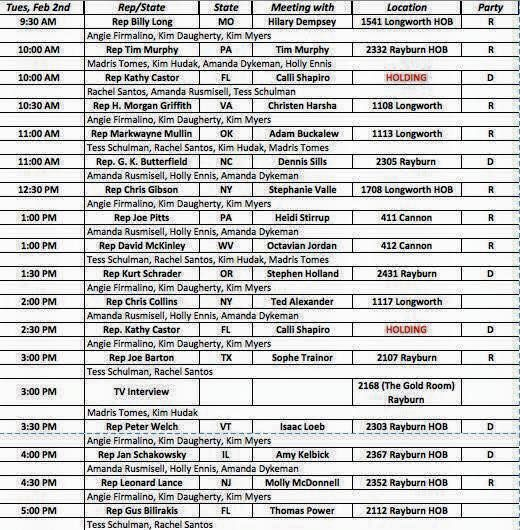 Below is our tentative schedule of the next two days. Please take a few moments while we are in DC to reach out to those listed below. Send them a tweet, and or post on their FB wall. Ask them to come out and shake our hands while we meet with their health aids. We are targeting the O&I, and Health Subcommittees of the E&C committee. Also, we are meeting with Senators to talk about the 21st Century Cures Act. 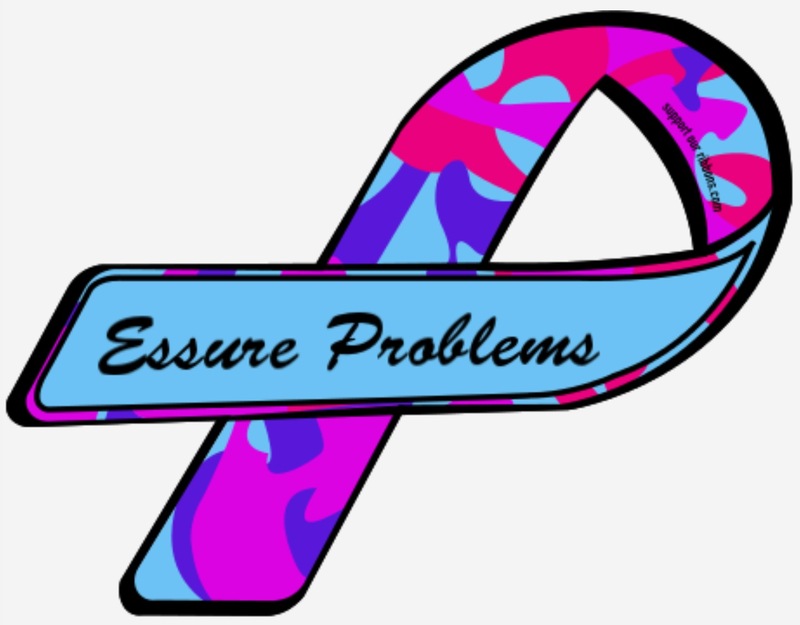 As of the most recent Maude search, Essure adverse events have reached 10,000. Re-surgeries are nearing 6,000! Our Facebook group is growing at a rapid rate approaching 27,000 members. We are going to be asking members of congress to support Fitzpatrick’s E-Free Act H.R 3920, and ask all that we meet with to send a letter to the FDA regarding Essure and demand they REVOKE ESSURE’S PMA! Attached you can view the packets we are bringing with us to each meeting. Included in them is a template they can use to contact the FDA. Feel free to share this packet with your rep, or senator.